In a world of the short and swift, of texts and Twitter, there's something of special value about a carefully composed letter. In homage to this most civilised of activities, Marieke Hardy and Michaela McGuire created the literary afternoons of Women of Letters. Some of Australia's finest dames of stage, screen and page have delivered missives on a series of themes, collected here for the first time. Claudia Karvan sends 'A love letter' to love itself, Helen Garner contacts ghosts of her past in 'The letter I wish I'd written', Noni Hazlehurst dispatches a stinging rebuke 'To my first boss', and Megan Washington pays tribute to her city and community as she writes 'To the best present I ever received'. 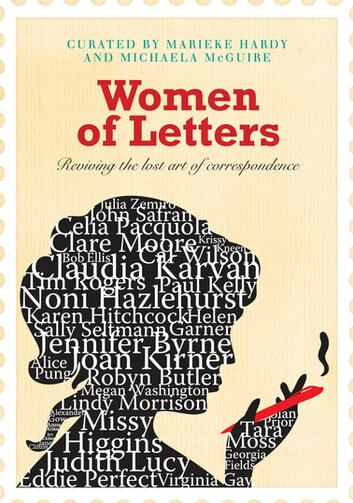 And some gentlemen correspondents - including Paul Kelly, Eddie Perfect and Bob Ellis - have been invited to put pen to paper in a letter 'To the woman who changed my life'. By turns hilarious, moving and outrageous, this is a diverse and captivating tribute to the art of letter writing.